MACOMB – Following up on legislation filed earlier this week to fund Higher Education with available funds, today State Representative Norine Hammond (R-Macomb) spoke out on the House floor about attempts made at a compromise to fund Higher Education. Rep. Hammond suggested that a far better pathway toward resolving the Higher Education funding issue is a proposal Hammond has co-sponsored (House Bill 4539) which would fund Higher Education, with reasonable cost savings to taxpayers, and is contingent on providing the Governor the tools to secure revenues and support existing spending. That additional provision (House Bill 4521) would allow for a funding source and authority to back up the promises made to students. Hammond cited that those “providers, vendors, and contractors” described in the memo includes colleges and universities who would like to receive the actual payment for the MAP grants. Senate Bill 2043 passed the Illinois House on Thursday by a vote of 67-42-6, and will now go the Governor for a likely veto. 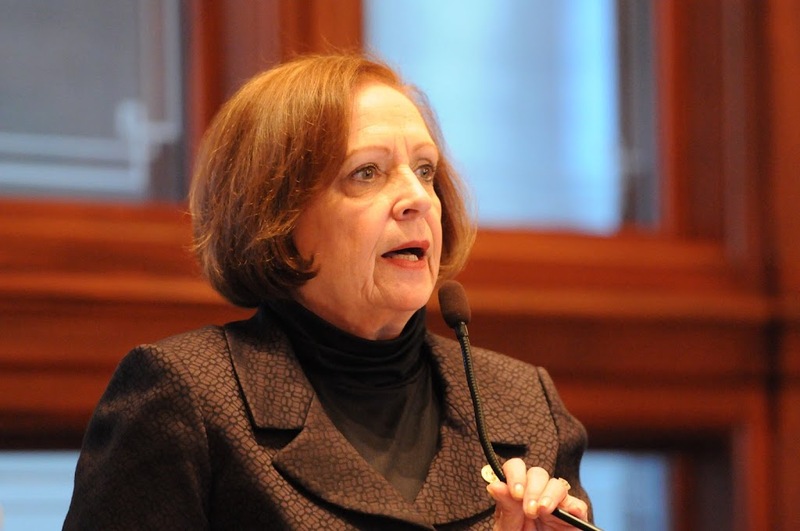 House Bill 4539 and the accompanying legislation, House Bill 4521, which GOMB are recommending the Governor sign, were not allowed to be heard in committee prior to Speaker Madigan adjourning the Session Day on Thursday. Hammond encouraged residents of the 93rd district to contact her with questions or concerns on this or any other state issue.